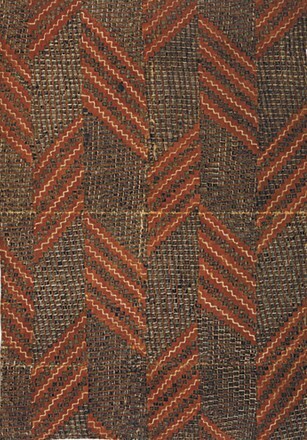 Throughout the South Pacific islands, each island nation has its own particular nuances in making tapa cloth, which distinguishes it from another. 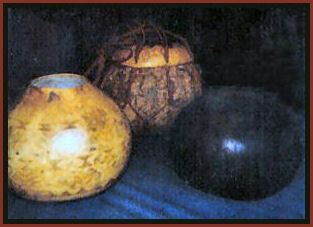 Traditional techniques were passed down and were a life skill in the community. Making tapa cloth was done primarily by women. It is a women’s art that has changed only slightly since ancient times. 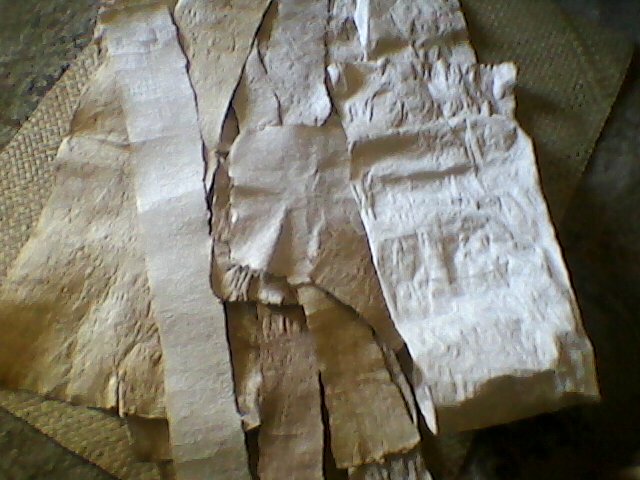 Generally speaking, in Western Polynesia a piece of tapa was produced by pasting sheets together in layers and then joining smaller pieces by pasting to make a larger cloth. A heavy, coarse material results from this method. 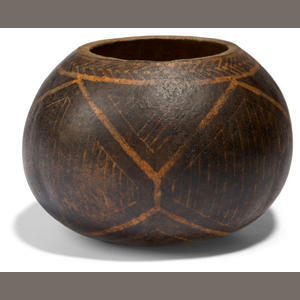 Whereas in Eastern Polynesia a felting process was done, pounding pieces into a single layer, without a fusing agent, or paste. Gradually a large piece of cloth is built up using this felting process. And a softer product is the result. The tapa cloth in Polynesia begins with a basic process of removing the inner bark, or bast, from the trees and soaking this inner part in water for several days to soften and ferment the fibers and get them ready for pounding into thin sheets. The paper mulberry trees (wauke) are grown for this purpose and carefully cultivated. They are allowed to grow six to eight feet high until one to two inches in diameter. The trees are constantly cared for and tended while they grow. Young branches are broken off to ensure consistent, straight fibers to make smooth, whole tapa sheets unmarred by holes. 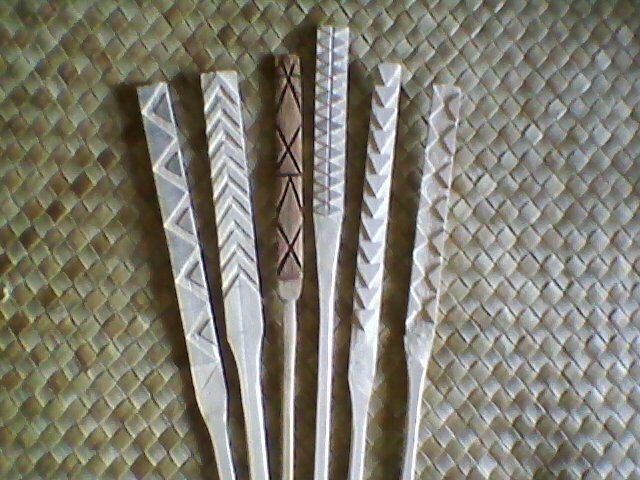 Special tools are used in the fabrication of tapa cloth. 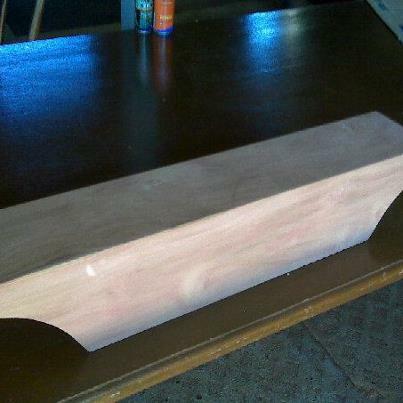 A type of anvil, a wooden block usually, is a sort of table that the bark is placed on and from start to finish, the tapa is pounded, or beaten. Techniques involve special shells used like knives to strip off the outer bark lengthwise from the tree, and to remove the bast. 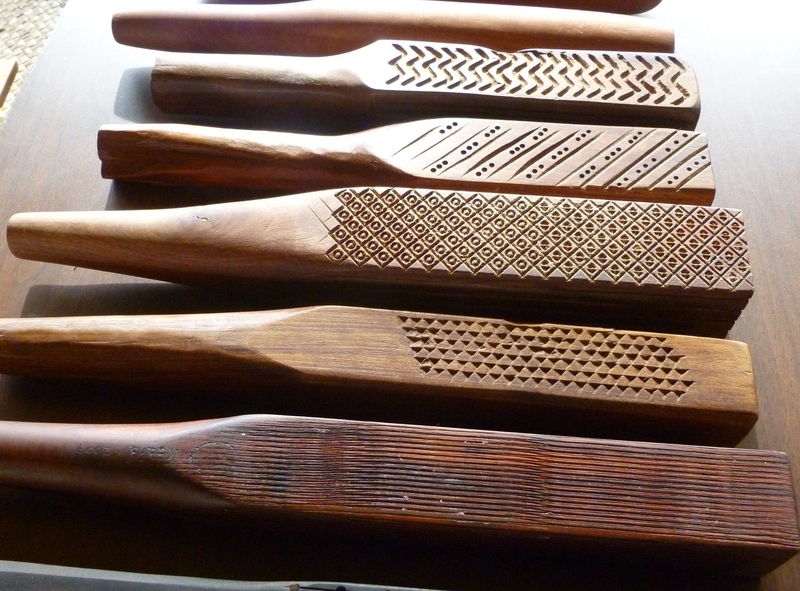 A selection of carved, wooden beaters flattens and spreads the fibers. Starting with a rounded club, moving to a grooved style that has four parallel sides, serving as steps toward finishing a smooth final product. 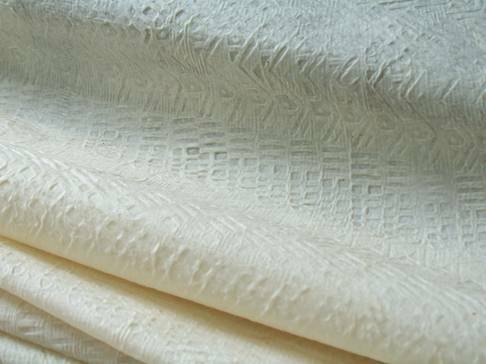 Additionally, Hawaiian tapa, or kapa cloth has a final step of beating, which leaves a watermark imprint on the cloth. This watermark is a unique carved design on a beater that served as the artist’s signature and finished the work in an important part of the felting process.